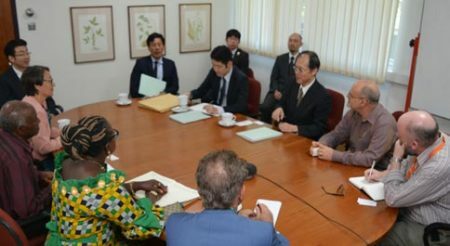 The Ambassador of Japan to Nigeria, His Excellency Yutaka Kikuta, on 17 October paid a courtesy visit to the IITA Headquarters in Ibadan, Nigeria to meet with senior IITA management. An Africa-wide initiative of the African Development Bank (AfDB), in partnership with IITA to mobilize regional efforts to stop the spread of fall armyworm (FAW)—an invasive pest threatening food supply and incomes of millions of African smallholder farmers—has been launched in East Africa. 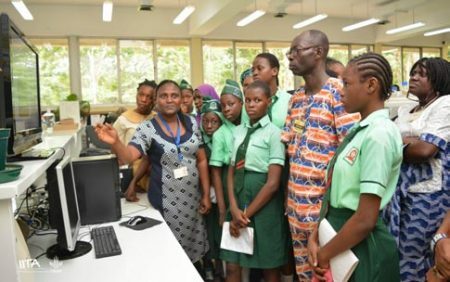 As part of efforts to inspire and expand the horizons of students, the Global Youth Leadership and Girl-child Foundation (GYLGF) held its 4th Raising Girls’ Ambition (RAGA) international interdisciplinary conference at Lead City University (LCU), Ibadan, on 10–12 October.